Shri Inder Kumar Gujral was sworn in as the 12th Prime Minister of India on Monday, the 21st of April, 1997. Son of Late Shri Avtar Narain Gujral and Late Smt. Pushpa Gujral, Shri Gujral is M.A., B.Com. Ph.D. & D.Litt. (Hons. Causa). He was born at Jhelum (in undivided Punjab) on 4th December 1919. He and Smt. Shiela Gujral were married on May 26, 1945. Minister of Communications & Parliamentary Affairs; Minister of Information & Broadcasting and Communications; Minister of Works & Housing; Minister of Information & Broadcasting; Minister of Planning. Parliamentary positions held: Leader of the House, Rajya Sabha from June 1996; Chairman of Parliamentary Standing Committee on Commerce & Textiles, 1993 to April 1996; Member of Parliamentary Standing Committee for External Affairs - till April 1996; Member of Parliament 1964 to 1976, 1989 to 1991; re-elected to Rajya Sabha in 1992 from Bihar; Member, Committee on Petitions, Public Accounts Committee, Committee on Rules, Rajya Sabha; Committee on Subordinate Legislation, Rajya Sabha; General Purposes Committee, Rajya Sabha; Standing Committee on External Affairs. Other important offices held: Chairman, Indian Council of South Asian Co-operation; Member of the Capital Plan Monitoring Committee; former President of the Institute of Defence Studies & Analysis (IDSA); Chairman of the official Committee for the Promotion of Urdu (Gujral Committee); Vice-President of the New Delhi Municipal council 1959-64; President Lahore Students Union; General Secretary of the Punjab Students Federation; Convenor and Spokesman of United Front of the Opposition Parties Conclave at Calcutta, Srinagar and Delhi. International delegations: Leader of the Indian Delegation to United Nations General Assembly - 1996; Leader of the Indian Delegation to UN Session of Human Rights, Geneva 1995; Leader of the Indian Delegation to the UN General Assembly 1990; Leader of the Indian Delegation to the UN Special Session of Economic Development 1990; Member, Indian Delegation to UNO 1995 and 1994; Leader of the Indian Delegation to UNESCO Conference on Education and Environment, 1977; Alternate Leader of the Indian Delegation to the UNESCO Session in 1970, 1972 and 1974; Chairman, UNESCO Seminar on Man and New Communication Systems, Paris 1973; Delegate -Inter-Parliamentary Union Conference-Bucharest 1995; Delegate - Commonwealth Parliamentary Association Conference, Canada 19194; Delegate - Inter-Parliamentary Union Meeting Canberra (Australia) 1967; Alternate Leader of Indian Delegation to the UN Session on Environment, Stockholm 1974; Special Envoy of India to Gabon, Cameroon, Congo, Chad and Republic of Central Africa 1975; Special Envoy of India to the inaugural of the Republic of Malawi 1966; Special Envoy to Bulgaria 1961; Union Minister in attendance to President of India during State Visits to Sri Lanka, Bhutan, Egypt and Sudan; Chairman - Indian Council of South Asian Co-operation; Co-Chairman Asian Rotary Conference 1961. Social organisations with which he was associated: President, Nari Niketan Trust & A.N. 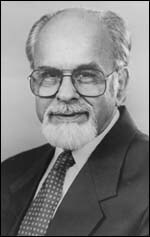 Gujral Memorial School, Jalandhar (Punjab); President, Indo-Pak Friendship Society; Founder President of Delhi Art Theatre; Vice-President of Lok Kalyan Samiti; President of Rotary Club of Delhi 1960; Co-Chairman of the Asian Rotary Conference in 1961. Special interests: Shri Gujral has been a writer and commentator on National and International Affairs, as well as theatre.